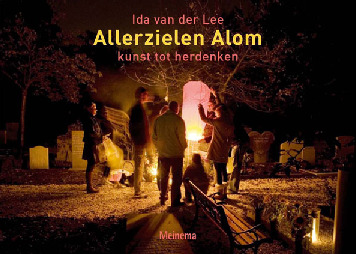 Ida van der Lee (1961) grew up in the Beemster polder region, the daughter of a fruit grower. After high school (Dutch VWO) in Amsterdam (1980) she experienced a number of adventurous years finding her bearings. From 1983 – 1986 she went to nursing school, and worked regularly in health care until 2001. From 1990 – 1995 she studied at the art academy in Utrecht, specialising in conceptual design. She was exposed to the phenomenon of art geography and the curriculum ‘research and experimentation”. Special projects were developed outside of the academy. After graduation, she initiated a number of large-scale art projects; terminal care and rituals of departure where changes are taking place such as demolition and urban renewal. She developed her own working methods and continues to be asked by municipalities and the government to guide processes of change in public places. She approaches from the emotional side, and looks for instruments to provide compensation for the feelings of helplessness and anger. She uses the materials, energy, memories, emotions, and conflicts which arise from the demolition and re-forms them into positive or new energy. These are processes, rituals, and choreography. All of those affected play an active role. The title “director of change” fits well with Allerzielen Alom. Death is the ultimate change. Jaap Velserboer (1953) was trained as a teacher at De Witte Lelie. He is actually no more and no less an ardent spokesman for (visual) art. He does this not only by organising traveling exhibitions for educational purposes, but also by organising visual art manifests on locations where people would want to visit anyway. He wants to have art be where people are. This requires that art can stand up to the real world. An excellent example is the beach projects ‘Vloedmerk’, a perennial local project on the open beach near Heemskerk. 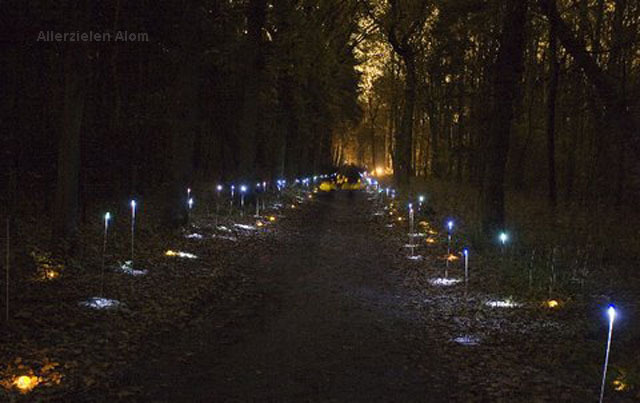 In Allerzielen Alom he serves as curator, selecting and advising the artists. His specialty has become the layout of the locations, making use of the possibilities. Annemieke van Harten (1961) worked in various functions in the ICT industry until 2006, the last years primarily in (project) management. In October 2006 she went on a two year sabbatical. When she returned, she had decided to develop herself in a completely different direction. She began her training as a ritual counselor and began a minor in humanistics. Her heart lies in spirituality, death, and parting. Within Allerzielen Alom, she sees to efficient organisation of the project content. Luuk van Term (1968) was active for more than nine years in strategy and project management at one of the most well-known investment funds in the Netherlands, the VSB Fonds. It is primarily active in the charitable sector. This sector is a dynamic one, where many social projects are set up and communication plays an increasingly important role. It is also a sector in which much still needs to be done. As staff member and eventually head of the Information and Communication Department at VSB Fonds, Luuk van Term was involved in various ways in a wide variety of projects. He now has his own consulting company, Termae Traiectum. He has developed a communication and financing strategy for Allerzielen Alom. Ronald Tebra of iMagine Air has years of experience in the (technical) production of events and theatre. His major drive is to transfer concepts into form. In 2007, he was the producer of Allerzielen Alom working under the name Projectbureau Zaanstreek. Ronald Tebra will provide production advice and support in 2009 as well as taking care of the lighting plan.